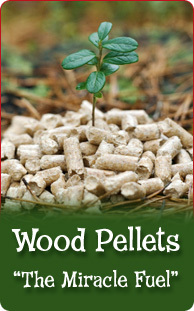 ♦We have wood pellets and BioBricks in stock! Pellets & BioBricks ready for pickup by the bag or Ton. Huge Inventory. We have won our appeal. Our Middletown location is now open for business. We thank you for your support through this appeal. We had incredible support from our community and customers. The ZBA voted 5 to 1 in our favor. I personally thank the ZBA for fighting for what is right. Please be courteous to our neighbors when coming to our Middletown location. Please email us with all questions or concerns for fastest response. Our phones are very busy during this season. If you decide to call, please call 1 time and leave 1 message for most efficient service. We have plenty of Pellets & BioBricks by the bag or pallet. Ready to be picked up. Blakeslee Pellet Depot has been delivering Wood Pellet Fuel in the Connecticut area for over 35 years, established in 1983. Blakeslee Pellet Depot has become a leader in wood pellet sales and alternative energy in Connecticut by providing the best customer service, good value, and a selection of products that we can offer with confidence. Since 1983, Blakeslee Pellet Depot has steadily grown every year to become the best and most popular source in Connecticut for premium quality wood pellets, BioBricks, and coal. We only carry products that we believe in, and we make sure that every purchase at Blakeslee Pellet Depot will result in the ultimate customer satisfaction! Wood pellets are an natural, affordable, and eco-friendly way to heat your home. Wood fuels emit less ashes and harmful emissions. Also, the carbon dioxide that is released during the combustion of wood pellets is being used by the growing plants. This renewable, economical and sustainable fuel source has gained interest all over the world!